EDI has been our Pacific Northwest Distributor for Weber products for 20+ years. Founded by the Cronin family of Portland, Oregon in 1878, they are today a fifth-generation family-operated business that distributes vast range of products in a variety of categories, including TV & Video, Custom Integration, Networking, Security, & Home Control, 12 Volt Car & Marine, Appliances, Furniture, and Outdoor Living. EDI carries brands such as Weber, Denon, GE, Haier, JVC, KEF, Luxul, Metra, NEC, Nest, Niles, Outdoor GreatRoom, Peerless-AV, Platinum Tools, Polk, Samsung, URC, Vanco, Yamaha, and many others. They serve the Pacific Northwest out of two locations: Portland, OR (corporate headquarters and the primary distribution warehouse) and Bellevue, WA. 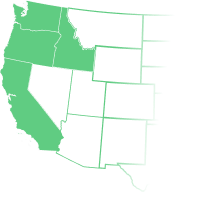 They serve dealers in Oregon, Washington, Idaho, Montana, and Alaska. EDI has been our Pacific Northwest Distributor for Weber products for 20+ years. They are dedicated to helping the dealers in the market with service and deliveries that are invaluable to maintaining their Weber business. Main warehouse is in Portland, OR, delivers to Bellvue, WA twice a week. Buy out of the main warehouse location in Portland, OR.